Following the federal government’s ban on sale and importation of codeine as active pharmaceutical ingredient for cough preparations, the Lagos State Government said it is set to unveil comprehensive plans to address mental health in the state. The state government said it has concluded wide-ranging plans to generally address prevalence of drug abuse under its mental health policy, revealing that a law to that effect has already been updated. However, Dr. Jide Idris said before and after the ban was announced, the State Government had been engaging with key stakeholders, adding that it was important for serious attention to be concentrated on mental health issue and affiliated matters. Responding to a question on the state government’s role in enforcing the ban on Codeine, Idris said: “On the issue of Codeine, that is very interesting and the question is how we are as a Ministry, ensuring the compliance by manufacturers? 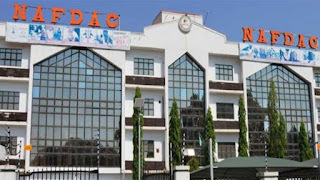 The ban principally is a NAFDAC initiative, but as a State Government we did not wait; we are more proactive and ever since this issue came into light, the Ministry has been engaging and very soon, we will come out with a more comprehensive programme. “This is because we would not look at Codeine alone; we are going to look at it under drug abuse. Codeine is just one substance out of many that are being abused. “It also goes to show you the extent of the mental health situation in our country and that is why like we said some time ago that we are putting more emphasis now on mental health. He said: “In line with this, we have updated our own mental health law as against what is happening at the federal level; we have a mental health policy and we are currently now implementing our mental health programme to cover all tiers – primary, secondary and tertiary health care systems. “This is a comprehensive thing and there is no doubt about the fact that there is a major mental health problem in our country and this Codeine is just a tip of the iceberg,” the Commissioner said. Commenting on the strides of the state government in the sector in the last one year, Idris said that the Lagos State University Teaching Hospital (LASUTH) successful performed its first open-heart surgery on a 32-year-old patient solely by indigenous cardiac surgery team. He also said that the state recorded the fourth successful cochlear implant and kidney transplant surgeries, adding that LASUTH in conjunction with Rotary International and Alliance for Smile successfully carried out surgeries for six patients with cleft lip palate deformity. The Commissioner said as a follow-up to the successful containment of Ebola outbreak, the State Government in collaboration with Global Partnership Programme, Canada was in the process of establishing a Bio-Containment and Bio-Safety Laboratory within the premises of the Lagos Mainland Hospital, Yaba. According to him, this will facilitate prompt diagnose of diseases of public health importance, while the Health Insurance Scheme of the State Government would commence later this year. He also said that the state government has disclosed that at least 2,131 pregnant women have tested positive to Human Immunodeficiency Virus, HIV, while 3,876 children were placed under antiretroviral therapy within the last one year. While giving the statistics, Idris explained that the $9.6 million grant from donor agencies further assisted in conduct of AIDS indicator survey, implementation and provision of technical support in Epe, Ikorodu and OshodI-Isolo councils. The Health Ministry boss added that the number was discovered after conducting test for the pregnant women during their visit to the State-owned medical facilities. He said, “At least 38,791 pregnant women know their HIV status out of which about 2,131 (HIV positive pregnant women) were enrolled for the Prevention of Mother to Child Transmission program. “By the end of 2017, the support provided through Global Fund was able to avail a minimum of 226,768 persons, who were 15-year and above, with free test.” After the test, the commissioner said that 10, 623 persons were discovered living with HIV and placed on treatments in the three councils.